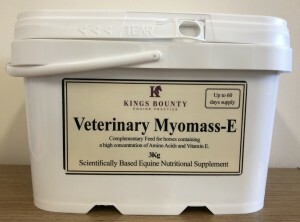 Containing a high concentration of amino acids derived mainly from pea protein and the antioxidant Vitamin E, this muscle supplement is an aid in the development and maintenance of lean muscle mass in horses. 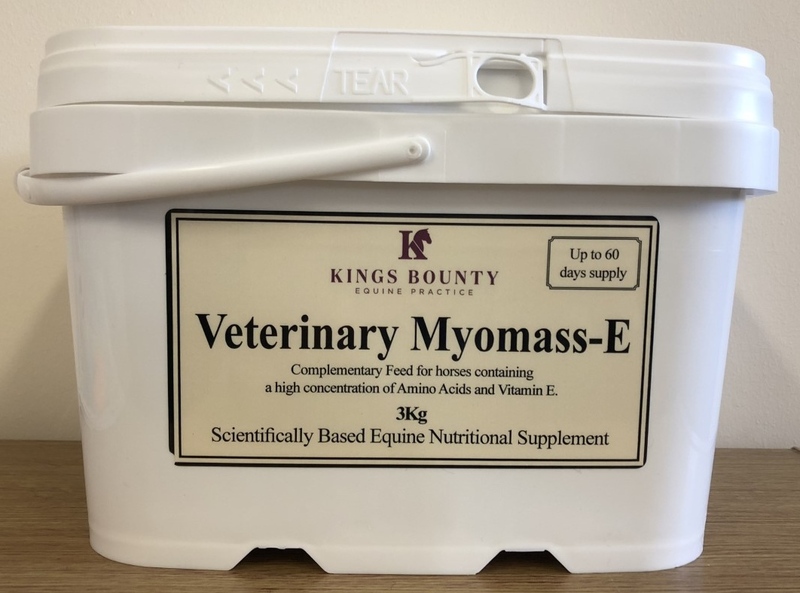 Other reported benefits include improved overall appearance and physical well being, improved strength and maximum muscular development in young stock. The supplement can be used in a wide range of situations, whether for maintenance of normal muscle mass, during periods of pre-training, during rehabilitation or during intensive training or competition. The supplement comes in a 2-month supply and does not test under competition rules. Please call the practice if you would like more information about this product or to place an order. This entry was posted in Clinical Updates on January 15, 2018 by kings_bounty.